1. Cost Accounting: A Managerial Emphasis, 14th Edition by Charles T. Horngren – Srikant M. Datar – Madhav V. Rajan. 2. Student Study Guide for Cost Accounting by Charles T. Horngren – Srikant M. Datar – Madhav V. Rajan. 3. Intermediate Accounting by Donald E. Kieso – Jerry J. Weygandt – Terry D. Warfield. 4. Managerial Accounting, 14th Edition by Ray Garrison – Eric Noreen – Peter Brewer. 5. Health Care USA: Understanding Its Organization and Delivery, 8th Edition by Harry A. Sultz – Kristina M. Young. 6. Intermediate Accounting by Donald E. Kieso – Jerry J. Weygandt – Terry D. Warfield. 7. Fundamental Accounting Principles by John Wild – Ken Shaw – Barbara Chiappetta. 8. Managerial Accounting for Managers by Eric Noreen – Peter Brewer – Ray Garrison. 9. Advanced Accounting by Joe Ben Hoyle – Thomas Schaefer – Timothy Doupnik. 10. Financial Accounting by Robert Libby – Patricia Libby – Daniel Short. 11. Managerial Accounting by Ray Garrison – Eric Noreen – Peter Brewer. 12. Intermediate Accounting by Donald E. Kieso – Jerry J. Weygandt – Terry D. Warfield. 13. Delivering Health Care In America: A Systems Approach by Leiyu Shi – Douglas A. Singh. 14. Fraud Examination by W. Steve Albrecht – Chad O. Albrecht – Conan C. Albrecht – Mark F. Zimbelman. 15. Wiley GAAP 2014: Interpretation and Application of Generally Accepted Accounting Principles by Joanne M. Flood. 16. Financial Accounting: An Introduction to Concepts, Methods and Uses by Roman L. Weil – Katherine Schipper – Jennifer Francis. 17. Accounting for Governmental and Nonprofit Entities by Jacqueline Reck – Suzanne Lowensohn – Earl Wilson. 18. Wiley CPAexcel Exam Review 2014 Study Guide, Financial Accounting and Reporting by O. Ray Whittington. 19. Cost Accounting (15th Edition) by Charles T. Horngren – Srikant M. Datar – Madhav V. Rajan. 20. Introduction to Managerial Accounting by Peter Brewer – Ray Garrison – Eric Noreen. 21. Accounting by Carl S. Warren – James M. Reeve – Jonathan Duchac. 22. Auditing and Assurance Services with ACL Software CD (15th Edition) by Alvin A. Arens – Randal J. Elder – Mark S. Beasley. 23. Financial Accounting by Robert Libby – Patricia Libby – Daniel Short. 24. Fundamental Financial Accounting Concepts 8th Edition by Thomas Edmonds – Frances McNair – Philip Olds. 25. Financial and Managerial Accounting: Information for Decisions by John Wild – Ken Shaw – Barbara Chiappetta. 26. Financial & Managerial Accounting by Carl S. Warren – James M. Reeve – Jonathan Duchac. 27. Accounting Information Systems (12th Edition) by Marshall B. Romney – Paul J. Steinbart. 28. Auditing and Assurance Services, Student Value Edition (15th Edition) by Alvin A. Arens – Randal J. Elder – Mark S. Beasley. 29. Principles of Financial Accounting by Belverd E. Needles – Marian Powers. 30. NEW MyAccountingLab with Pearson eText — Access Card — for College Accounting by Jeffrey Slater. 31. Accounting by Paul D. Kimmel – Jerry J. Weygandt – Donald E. Kieso. 32. Essentials Of The U.S. Health Care System by Leiyu Shi – Douglas A. Singh. 33. Effective Writing: A Handbook for Accountants, 9th Edition by Claire B. May – Gordon S. May. 34. College Accounting Chapters 1-12 with Study Guide and Working Papers (12th Edition) by Jeffrey Slater. 35. Payroll Accounting 2014 (with Computerized Payroll Accounting Software CD-ROM) by Bernard J. Bieg – Judith A. Toland. 36. Cost Management: A Strategic Emphasis by Edward Blocher – David Stout – Paul Juras – Gary Cokins. 37. Essentials Of The U.S. Health Care System by Leiyu Shi – Douglas A. Singh. 38. 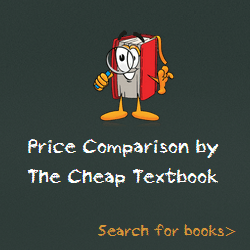 College Accounting (Chapters 1-13) by John Price – M. David Haddock – Michael Farina. 39. Accounting: What the Numbers Mean by David Marshall – Wayne McManus – Daniel Viele. 40. Health Care USA: Understanding Its Organization and Delivery, Seventh Edition by Harry A. Sultz – Kristina M. Young. 41. Creating Value Through Corporate Restructuring: Case Studies in Bankruptcies, Buyouts, and Breakups by Stuart C. Gilson. 42. Accounting: Texts and Cases by Robert Anthony – David Hawkins – Kenneth A. Merchant. 43. Accounting Principles by Jerry J. Weygandt – Paul D. Kimmel – Donald E. Kieso. 44. Financial Accounting (9th Edition) by Walter T. Harrison Jr. – Charles T. Horngren – C. William Thomas. 45. Financial Accounting: Information for Decisions by John Wild. 46. Core Concepts of Accounting Information Systems by Mark G. Simkin – Carolyn A. Strand Norman. 47. Basics Of The U.S. Health Care System by Nancy J. Niles. 48. Advanced Accounting by Paul M. Fischer – William J. Tayler – Rita H. Cheng. 49. Fundamentals of Oil & Gas Accounting, 5th Edition by Charlotte J. Wright – Rebecca A. Gallun. 50. Fundamental Accounting Principles by John Wild – Ken Shaw – Barbara Chiappetta. 51. Financial & Managerial Accounting by Jan Williams – Susan Haka – Mark Bettner – Joseph Carcello. 52. International Accounting by Timothy Doupnik – Hector Perera. 53. Healthcare Finance: An Introduction to Accounting and Financial Management, Fifth Edition by Louis C. Gapenski. 54. Financial Accounting with Connect Plus by Robert Libby – Patricia Libby – Daniel Short. 55. Financial Accounting by Jerry J. Weygandt – Donald E. Kieso – Paul D. Kimmel. 56. Foundations of Financial Management, 14th Edition by Stanley Block – Geoffrey Hirt – Bartley Danielsen. 57. Intermediate Accounting with Annual Report by J. David Spiceland – James Sepe – Mark Nelson. 58. Auditing: A Risk-Based Approach to Conducting a Quality Audit (with ACL CD-ROM) by Karla Johnstone – Audrey Gramling – Larry E. Rittenberg. 59. Bisk CPA Review: Business Environment & Concepts – 43rd Edition 2014 (Comprehensive CPA Exam Review Business Environment & Concepts) (CPA Review. … Review. Business Environment and Concepts) by Nathan M. Bisk. 60. Payroll Accounting 2013 (with Computerized Payroll Accounting Software CD-ROM) by Bernard J. Bieg – Judith A. Toland. 61. Financial Statement Analysis: A Practitioner’s Guide by Martin S. Fridson – Fernando Alvarez. 62. Stochastic Calculus for Finance II: Continuous-Time Models (Springer Finance / Springer Finance Textbooks) by Steven Shreve. 63. Auditing & Assurance Services: A Systematic Approach, 8th by William F. Messier – Steven m. Glover – Douglas F. Prawitt. 64. College Accounting (12th Edition) by Jeffrey Slater. 65. Local Planning: Contemporary Principles and Practice (An Icma Green Book) by . This entry was posted in Textbooks on July 24, 2014 by Textbooks.